Model made by Jay, transfert to mxb by me with the help of Pacopastor. Thanks for he upload, I'm loving all of these new bikes. *LINKS REMOVED* Requested by the original creator. hey guys, i thought the husqvi is allowed for mxb? just ktm isnt allowed or did i understood this stupid controversity about bikes and creator wrong!? and if its allowed, what do we have to do to ride it in beta 5? what do we have to do to ride it in beta 5? Finally got around to convert those. 250f 350F and 450f, thanks to Stone importing them and letting me redo geometry and engine. These are meant to replace the fc250, fc350 and fc450 bikes - paints are compatible though. Geometry as close as I could to real data + suspension changes in the cfg. Rest is based on MSM, including chassis flex. all bikes share the exact same geometry. Weight, brakes, fuel, etc all according to manufacturers specs. Engines done according to 2016 dynoes, and the OEM breaking torque curves. 350f engine redone, including breaking torque. 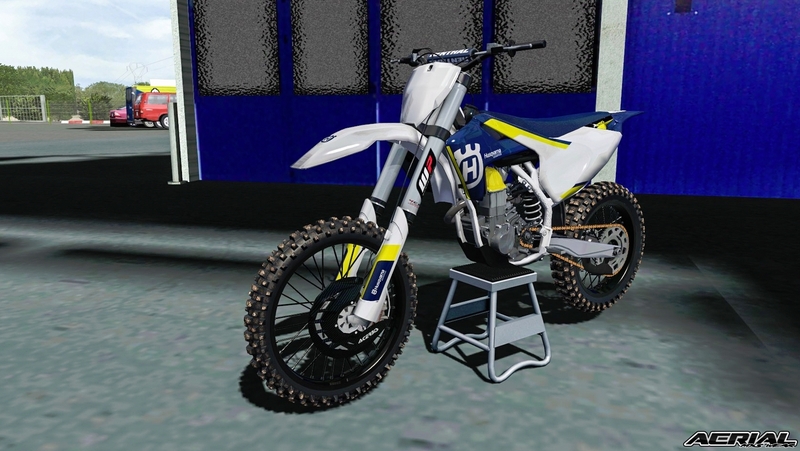 Different engine maps added, based on the different modes accessible with the bike. Standard: Stock hp curve, rather full at low RPMs but limited at high RPMs. Aggressive: More of an aggressive map. mid/high RPM. Mellow: A smoother power curve, softening up the low/mid RPMS but pulling linearly and longer. Necessary Geo Tyre Mod for the OEM bikes to work. The 350f engine is completely new. From what I could see, it's basically a booster 250f. It feels like one. Let me know if it's completely out of whack and I'll do my best to fix it. I admit this whole pack is a bit rushed as I wanted it out now, so feedback especially welcome! However with 2 strokes TFCs rmz's is first place. Hahaha much worse Geo.. We grew up without the z's and f's and the end of our models mate, you should know better!